New Delhi : “BALTRA” is all set to launch a unique and innovative range of Induction Cookers, “Feel” & “Electro” with “infrared” feature. These Infrared induction cookers by BALTRA are the latest innovations aimed to transform cooking into a safe and joyful experience. In Indian context most of the consumers are well acquainted with the concept of induction cooker, but the biggest handicap in case of other induction cookers is utensils. The USP of Baltra’s new Infrared Induction Cookers – “Feel & Electro” is that any utensils with flat surface can be used on these gadgets, unlike the other induction cookers on which only magnetic field friendly utensils can be used. Infrared induction cookers – “Feel & Electro” by BALTRA have been designed keeping in mind the concept of modern and user friendly appliances. In this product category BALTRA enjoys first mover and a distinct competitive advantage over its counterparts, since none of the other brands have ventured in infrared induction cooker segment as of now. BALTRA is planning to sell more than 20,000 units of these two new models of Infrared Induction Cookers in the current financial year. The company is also planning some major marketing campaigns for this product category around the festive season. BALTRA has launched its infrared induction models Feel and Electro in line with its commitment to satisfy its esteemed customers by offering them innovative and high quality products. 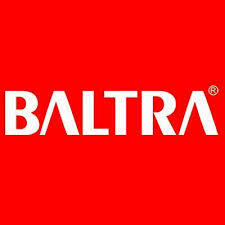 Baltra Infrared Induction Cookers “Feel” & “Electro” will be available in the market by June-end.